Julia Barretto and Joshua Garcia were recently hailed as the "Movie Love Team of the Year" at the 34th PMPC Star Awards for Movies after appearing on two hit films in 2017, Love you to the Stars and Back and Unexpectedly Yours. On Instagram, Julia expressed her thanks for the award and wrote on the caption, "When the time is right, I, the LORD will make it happen (Isaiah 60:22). Thank you very much PMPC for recognizing us as 'Movie Loveteam of The Year!' Thank you for appreciating and accepting our hard work." ICYDK, Julia and Liza have been friends ever since they joined Star Magic in 2013. In the past, the two were pitted against each other but proved to remain their friendship in spite of all the rumors. 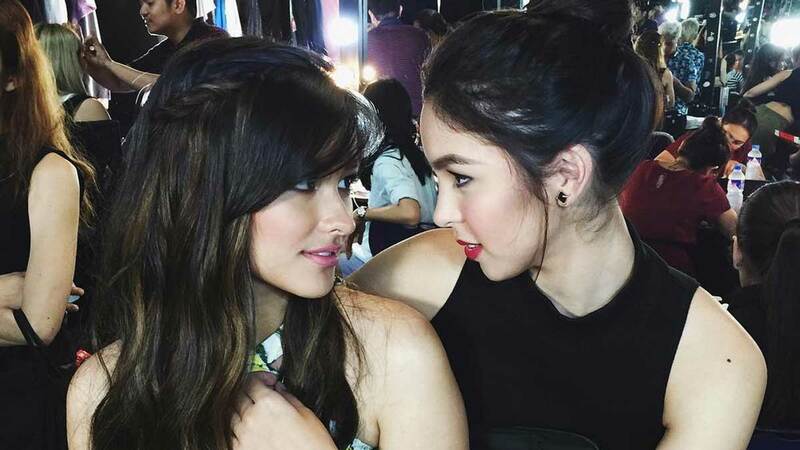 In 2015, Julia posted a fun picture of her and Liza together and wrote, "Rivalry? What rivalry?!" Liza and Julia were seen together during the movie premiere of My Fairy Tail Love Story in support of their friend and fellow Star Magic batchmate Janella Salvador.